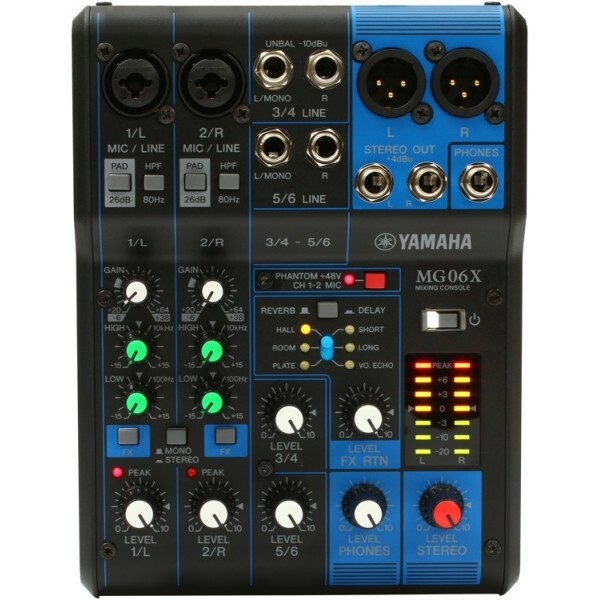 The Yamaha MG06X mixer with FX mixes up to six inputs. 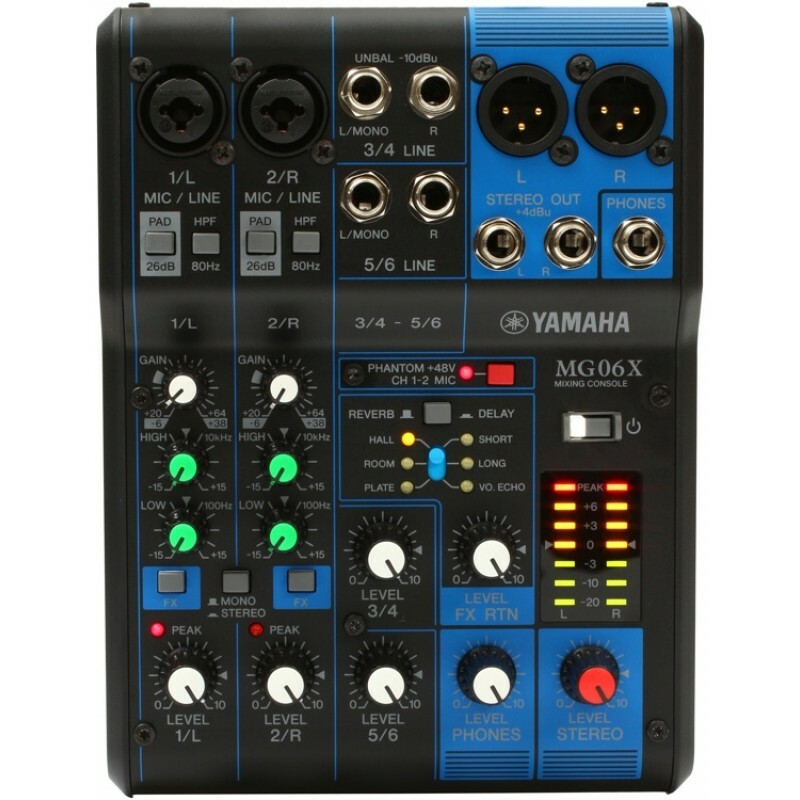 This mixer is ideal for the traveller because of its compact size. Two of the inputs feature microphone preamps, making it easy to share the stage with others, and four 1/4-inch inputs provide clear sound. The stereo XLR outs are great for connecting to a PA system or monitors, and TRS 1/4-inch outputs work well with powered speakers, amplifiers and digital recorders. Use your favorite headphones with the 1/4-inch headphone output. The MG06X lets you fine-tune your sound with an array of integrated effects. Three reverb effects are great for setting vocal inputs into your mix, and the three-delay settings help make your music more dynamic. Six included programs let you switch between settings quickly, and colourful lights indicate the volume level for both the left and right outputs, which helps you avoid distortion and clipping. 100 Years by Five for Fighting Single Sheet Words and Music by John Ondrasik ..
101 SONGS FOR EASY GUITAR BOOK 2 A stunning second compendium of some of the finest rock and pop ..
110 Classical Themes CD Rom Content TOMASO ALBINONI Adagio in G Minor JOHANN SEBASTIAN BACH..
16 Modern Etudes for Clarinet Sixteen Modern Etudes for Clarinet by Paul JeanJean ..
22 Modern Etudes for Clarinet A Leduc Edition from Paris Twenty Two Modern Etudes for Clarine..
Off To A Great Start Clarinet Book 1 by Mark Walton Mark Walton is a highly respected and popu..
Off To A Great Start Clarinet Book 2 by Mark Walton Mark Walton is a highly respected and pop.. 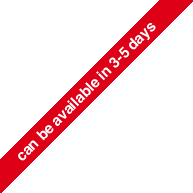 Theory Fundamentals Prep Bk1 By Gillian Erskine and Paul Myatt Theory fundamentals i.. Awesome response, superior bendability and the sweetest tone ever. The Special 20 harp is the fi..
FENDER USA ARTIST SERIES Slowhand fans will love the tonally versatile ..